How GST Suvidha franchises relieving burden of small traders? GST SuvidhaKendras help SMEs file their returns and make tax payments without having to invest in the necessary IT infrastructure. The introduction of the Goods and Services Tax (GST) last year helped in creating a uniform taxation system. However,it has also raised concerns at several levels, especially amongst the small and medium enterprises (SMEs). Of the many pros and cons, one of the key features was that it has a simple and easy online procedure, to avoid paperwork and file returns as well as pay online. This transformation, though good on paper, proved to be a challenge, especially for the SMEs who had to implement many changes in the way they bill for products and services sold and procured to become compliant. In fact, soon after the enforcement of GST, SMEs across the country protested, claiming the processes to be too complex and time consuming. Previously, SMEs providing both goods and services had to calculate the VAT and service taxes individually and to maintain separate books of accounts for every state involved in the supply of goods/services and assess the records of various entities involved in every single transaction. Some of the changes required include issuing GST-complaint invoices, maintainingdigital record-keeping, and filing timely returns. The GST-complaint invoice issued must include mandatory details such as GSTIN, place of supply, HSN codes, and other such details. The SMEs, with their just-adequate staffing and focus on core business rather than administration, have felt that not only will GST prove to be the death knell, but also that it is too complicated and time consuming, requiring additional IT investments. The government has been proactive in taking feedback and implementing relevant changes. As part of its effort to make GST a success, the GST Network announced that it will provide free accounting/billing software that can auto-generate the necessary GST reports, thus taking the burden off the shoulders of this segment. Now the SMEs can not only file their GST returns, but also improve the way they manage their business with regard to cash management, generating mismatch reports, processing their payroll, managing inventory, etc. As part of this, the government hadestablished multiple centresto help SMEs clarify doubts on GST and help them become compliant. 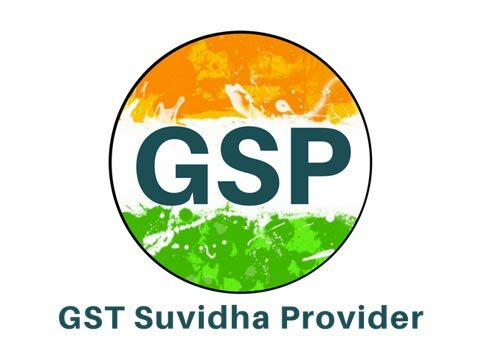 GST SuvidhaKendrashelp SMEs file their returns and make tax payments without having to invest in the necessary IT infrastructure.These help SMEs generate the digital sales and purchase invoices, automate matching of inward and outward supplies and generate tax liability along with available input tax credit automatically. At the end of the cycle, the software is able to generate and upload tax returns onto the GSTN portal thus minimizing manual intervention. Currently, there are close to 100 such centres spread across India and more are being established. The GST SuvidhaKendras will cater to businesses of any size in a cost-effective manner. Only eligible centres are approved and should comply with the following criteria. The Suvidha centres help businesses become GST compliant by enabling Automatic Data Preparation for GSTR1 and simplifying the online filing and paying process, making billing and filing easy. They include a single-point dashboard access for multiple GSTINs and offer end-to-end Data Management. The software of service providers is typically hosted on cloud-based platformsthat facilitate seamless integration to existing ERPs and can be customized to suit organizational needs.